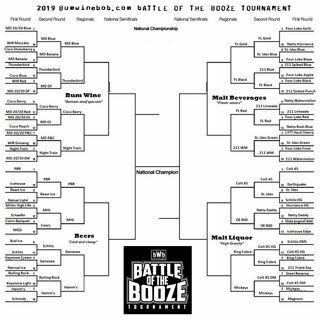 Round 2 in the 2019 bumwinebob.com battle of the booze tournament is in the books as we look ahead to the sour sixteen! We had some close matchups in round 2 of the tournament, but what does the sour sixteen have in store for us? Bum Wine Bob is breaking down all the big matchups to look forward to in the tournament as it rolls on! Since it is MD 20/20 March, I decided to whip up a MD 20/20 Electric Dragon Melon Fruit concoction with a splash of Lemon-Lime seltzer to pay tribute to a few of ... See More the MD 20/20 flavors that were not fortunate enough to advance in the tournament. Don't forget to cast your votes in the sour sixteen of the 2019 bumwinebob.com battle of the booze tournament and tell your friends to join the fun!